Ed Wood | Critical End! Last weekend I was introduced to my new favorite Chicago event: B-Fest. Each year, a dedicated team of film geeks put on a 24-hour b-movie marathon at Northwestern University. Guests are encouraged to hurl comments at the screen MST3K-style, hop onstage to perform impromptu skits, and sleep in the aisles when they start to fade. It’s essentially a 500-person slumber party. The highlight of the evening, however, was the traditional midnight showing of Plan 9. While all of the films are verbally savaged by the attendees, Plan 9’s riffs have risen to the Rocky Horror level of audience participation. The audience calls out each time the scene abruptly switches from day to night, when Ed Wood’s chiropractor is standing in for Bela Lugosi, and at every appearance of the inimitable Tor Johnson. 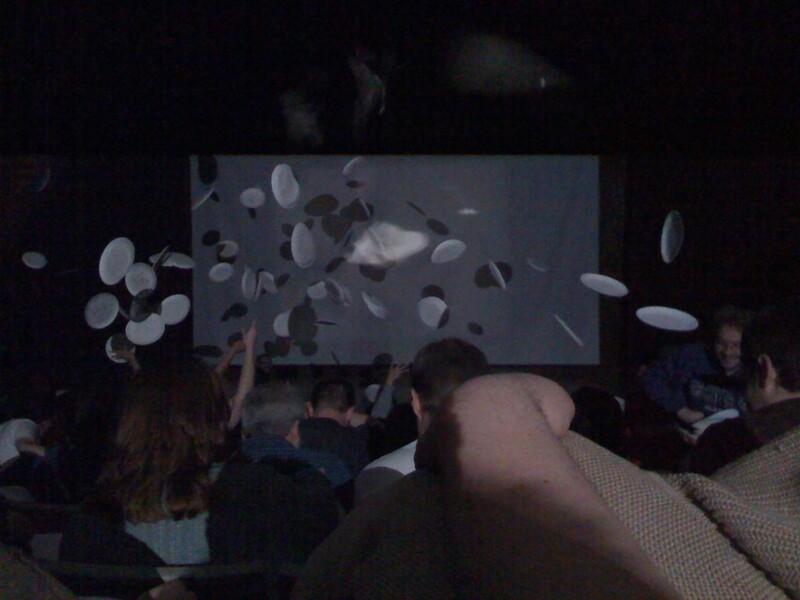 And each time the shoddy UFO appears, a shower of flying paper plates ensues. I could give you my ratings for these movies, but that’s not the point. They’re all terrible. But watching them with an audience of smart, funny people is an absolute blast. So, B-Fest. Awesome. See you there next year.